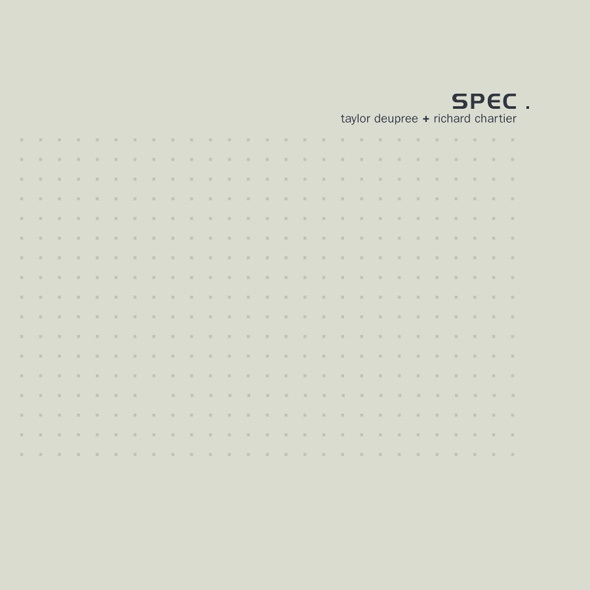 Taylor Deupree (making his first full-length cd appearance since 1998's tower of winds (with Savvas Ysatis)) and Richard Chartier (with releases on 12k, Meme, Microwave, and Intransitive) collaborate for the first time in creating the highly intricate and unique Spec. With infinitesimal drops of synthetic sound woven in minimal, cell-like structures, Spec. delves into the molecular world of DSP programming combining Chartier's signature quiet, glassy textures and Deupree's synthetics in the granulation and recombination of software generated audio files. The sonic result is a highly rhythmic, transluscent sound; tiny fragments through high pass filters, edge-smoothing curves and other tone shaping algorithms. 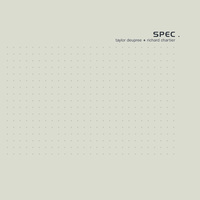 The collaboration was started by Deupree and Chartier each generating basic sound files for source material, then exchanging the files allowing each to work on pieces based on the sounds and aesthetics of the others creations. After this stage the project moved to Deupree's New York studio, where tracks and elements were compiled, remixed and additional compositions were created together and the album assembled and completed.